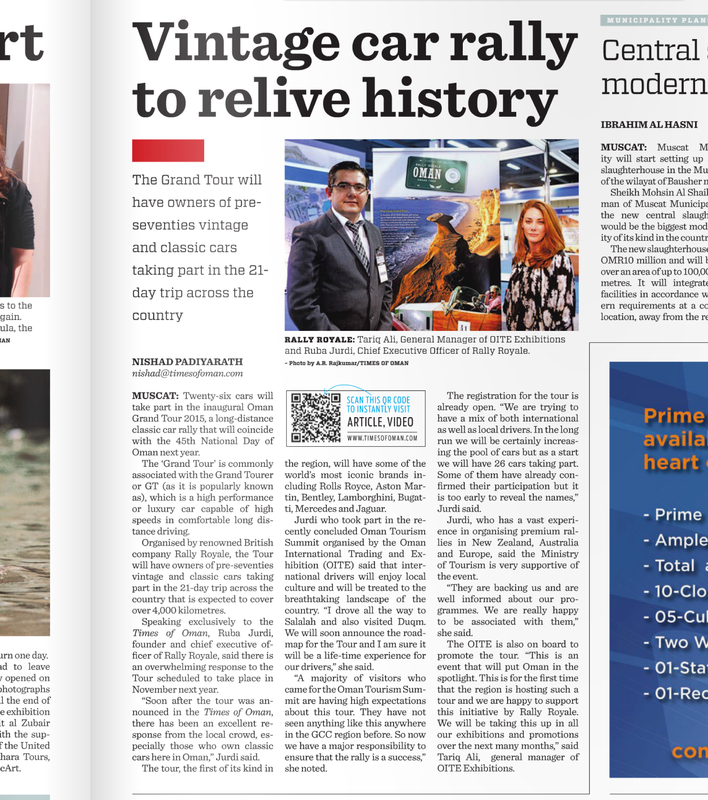 20 December 2014 | Muscat: Twenty-six cars will take part in the inaugural Oman Grand Tour 2015, a long-distance classic car rally that will coincide with the 45th National Day of Oman next year. The ‘Grand Tour’ is commonly associated with the Grand Tourer or GT (as it is popularly known as), which is a high performance or luxury car capable of high speeds in comfortable long distance driving. See homepage for up-to-date schedule.